One of the most challenging things about Yelp is the way their review system works. 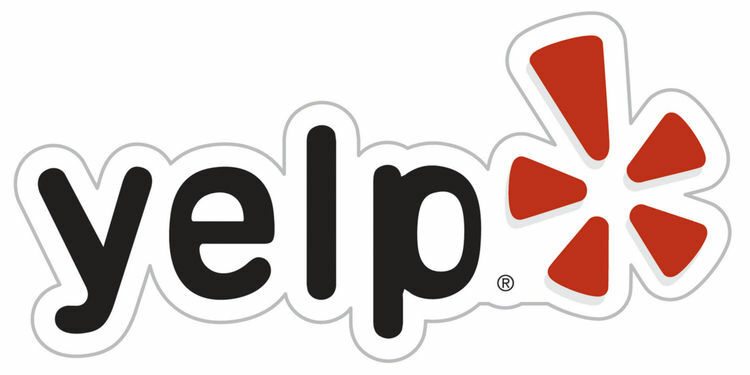 Unlike many of the other online directories and social networks that allow customers to review local businesses, Yelp has a specific algorithm for filtering reviews to determine whether those reviews will be shown to people visiting the local business's Yelp profile and whether those reviews will be factored into the local business's overall star rating. This filtering algorithm has caused a lot of controversy in the local marketing world, as many businesses cannot understand why legitimate reviews are being hidden, while others that might be less than legitimate are being shown. If you are one of those local businesses struggling with how Yelp reviews work, then continue reading to learn more about the Yelp algorithm and what you can do about the reviews on your own Yelp listing. The first things you need to know as a local business are the guidelines for Yelp reviews. Yelp specifically discourages solicitation of reviews that may lead to reviews that are not passionate and personal. This includes asking for positive reviews from your customers or incentivizing reviews, such as offering a discount to anyone who posts a Yelp review about your business. So how can you get reviews if you can't ask for them specifically? Yelp suggests that you simply claim your business, complete your listing, and then let people know your business is on Yelp. You can do this by adding a Yelp badge / logo to your website linked to your Yelp listing, putting up a sign in your business that says you are on Yelp, and linking to your Yelp listing in your email signature. You could also extend this promotion by sharing the link to your Yelp listing on your social profiles, forum profiles, and other areas where you link to your online properties. The key is not to ask for reviews, but just to let people know they can find your business on Yelp and point them in the right direction. It should be completely up to your customers whether or not they choose to review your business from there. And, as you might imagine, paying for your reviews is a strictly against Yelp policies. If Yelp finds out you have done this, or even suspects it, you may end up with a warning on your Yelp listing that looks like this. Yelp reviews matter for a couple of reasons. First of all, as mentioned at the start of the article, whether or not you have created or claimed a Yelp listing does not mean that you don't have one. Most businesses have them, and that means that Yelp users can leave reviews on them, no matter how much or how little information you have voluntarily provided Yelp. Second, your Yelp reviews will generally come up in the first page of search results when people search for your business name. Again, whether or not you have created or claimed a Yelp listing, if Yelp has created one for you, it will get great rankings in search results. Third, there are an average of 83 million mobile visitors and 79 million desktop visitors to Yelp each month. This makes them one of the top consumer review sites. Hence, your Yelp reviews matter for both Yelp users and general Google search users. No matter how you get people to your Yelp listing to leave reviews, you may end up with one or both of the following types of reviews: recommended review and filtered reviews. Recommended reviews are the ones that appear on your profile and count towards your business's star rating on Yelp. Filtered ones are those that Yelp believes should not be displayed on your business's listing and do not count toward your business's star rating on Yelp. Your recommended reviews will be easy to spot on your listing as they will appear beneath the big red Recommended Reviews header. The filtered reviews, on the other hand, will all be lumped under a link that looks like this. When visitors to your listing click on this link, they will see a video about why those reviews have been filtered, followed by a few of the filtered reviews, and then a link to read more filtered reviews. In the video, Yelp points out that if you were to ask for someone's opinion about a restaurant, you wouldn't likely trust the recommendation from someone who only goes out to eat once a year or someone who you don't know. The video goes on to say that their recommendation software (algorithm) filters reviews based on quality, reliability, and user activity on Yelp. While not specifically listed on the Yelp website, you can determine the type of qualifications that help one reviewer get their review recommended over another. These include the following. Yelp users who have completed their profile with photos and additional details about where they are from and what they like. Yelp users whose reviews have been marked as Useful, Funny, or Cool using the buttons at the bottom of their review. Yelp users who have checked in at the locations they are reviewing. Yelp users who write long, detailed reviews. Yelp users who have a good distribution of star ratings (i.e., they review businesses they like and ones they don't like). Yelp users who get compliments from other Yelp users. Yelp users who have friends on Yelp and utilize other Yelp features such as tips and lists. In other words, a Yelp reviewer whose review is likely to be recommended by Yelp is going to have a profile that looks like this. As a local business owner, there isn't much you can do to control whether the customers who review your business are going to be active users on Yelp. There are a few ways you can have a bit of influence though. They are as follows. As mentioned earlier, promote your Yelp listing by mentioning it in your store and linking to it everywhere you can online. Encourage people to check-in on Yelp when they are at your business. While you are not supposed to solicit reviews, there are no rules that say you can solicit check-ins. You can incentivize this by giving out check-in offers, a tactic encouraged by Yelp. Create offers on your Yelp listing so that active Yelp users can find it and take advantage. Advertise on Yelp. Advertisers may not get any special treatment in the review department, but they are more visible to people active on Yelp, and thus more visible to people whose reviews count. While you can't do anything to directly influence the reviews your business receives no matter what you do, you can put your business in the position of getting the most reviews possible to increase the likelihood that you will get positive reviews recommended by Yelp on your listing. So what about all of those great reviews that have been filtered by Yelp's recommendation software and algorithm? You don't have to let them go to waste. 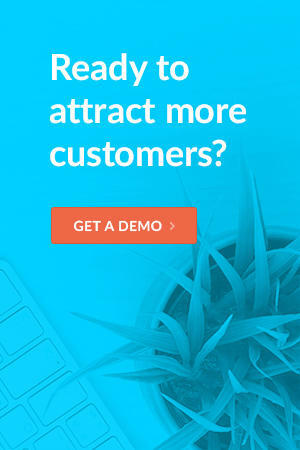 Utilize them by adding a testimonials or review page on your website and copy them over to it. If you have a lot of recommended reviews on your Yelp page, you can also grab some of those, copy them to the testimonials or review page on your website, and link back to your main Yelp listing so people can read more. If you have all positive reviews on your filtered reviews page, you can also link directly to your filtered reviews. Get that URL by clicking on the reviews not recommended link shown earlier. Then click on the continue reading link. This will allow your website visitors who are Yelp users to find even more reviews about your business, regardless of whether they were recommended. Also note that, as the Yelp listing owner, you can go to your dashboard's reviews tab to find and respond to all of your reviews, regardless of whether they are filtered. This way, you can show everyone who visits your Yelp listing that you are a responsive business that cares about what your customers have to say, both positive, negative, recommended, or not. This feature is especially important for negative reviews - if you can at least counter with a message that shows visitors to your Yelp listing that you offered an angry customer great customer service, it will leave a better impression with them than if you didn't say anything at all. The Yelp review system can be a frustrating one for local businesses. But knowing how to get the best results possible from it and alternative ways to make sure your best reviews get noticed is better than giving up on your Yelp listing for good. Hence, be sure to nurture your Yelp listing as a part of your holistic local marketing strategy.